Discover a luxurious haven in the Dartmoor wilderness at the five-star Gidleigh Park. The hotel offers cosy surroundings and outstanding service on the edge of the breathtakingly beautiful Dartmoor National Park. Our members will stay in a Master Room, on a Half Board basis, including dinner in the hotel's award-winning restaurant. The county of Devon offers freedom. Its rippling, beach-fringed landscape is studded with historic homes, vibrant cities and wild moors. So here you can ditch schedules and to-do lists and hike a rugged coastal path, take a scenic boat trip, or get lost in hedge-lined lanes that aren't even on your map. Discover collegiate Exeter, touristy Torquay, yachting haven Dartmouth and alternative Totnes. Or escape to the wilderness of Dartmoor, where the famous Dartmoor ponies roam the brooding crags and wetlands. For adventure enthusiasts, Devon is a haven for surfing, cycling, kayaking, sea-swimming and barefoot beachcombing. 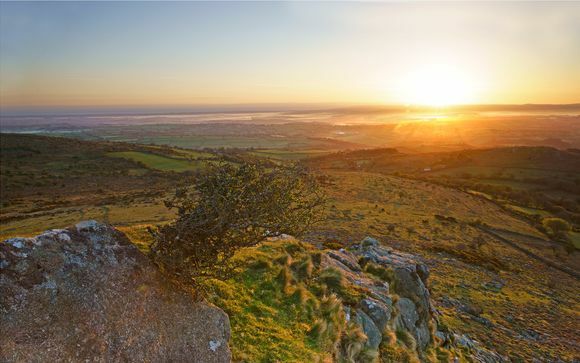 That's not to mention the countless walking trails that criss-cross this beautiful county, over rugged moors, through river valleys and along the stunning coastline. So grab your walking shoes and venture off the beaten track in Devon. Located on the edge of the wildly beautiful Dartmoor National Park, Gidleigh Park offers everything you could ever wish for in a countryside escape. 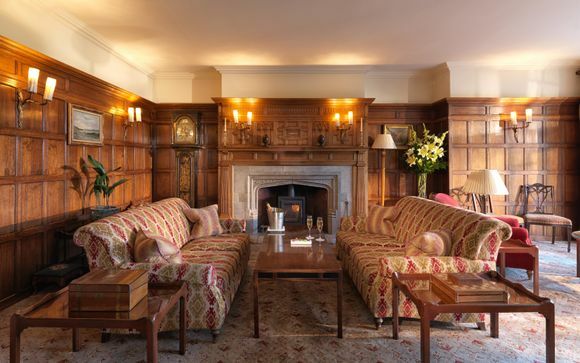 This hotel, housed in a Tudor-style manor house, is tucked away within its 107-acre grounds, offering a tranquil location for your Devon getaway. 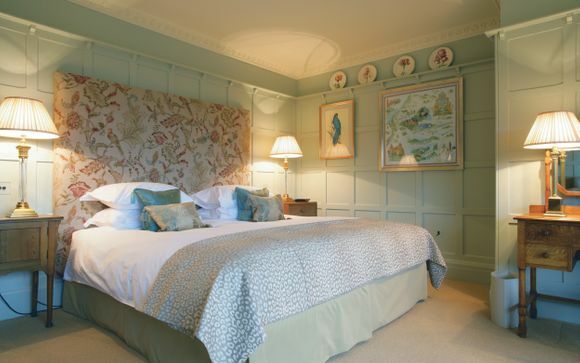 The hotel provides a warm, welcoming atmosphere with its design inspired by the Arts and Crafts movement, including antiques alongside sumptuous fabrics and lovingly restored wood panelling. Soak up your homely surroundings and indulge your senses with fresh, seasonal cuisine in the highly-regarded restaurant. Gidleigh Park is a haven for lovers of outdoor pursuits, with leisure facilities including an artificial grass tennis court, a croquet lawn and a seasonal 18-hole putting course designed by Peter Allis. If that is not enough, there is also a boot room available for guest use, so that you can make the most of the area's countless walking trails. This offer is based on a Master Room. Immerse yourself in true country luxury in your stunning Master Room, with breathtaking views. Your individually designed room comes replete with elegant features such as fine antiques and sumptuous fabrics. Relax in your king-size bed with crisp, white linen, and enjoy all the finest amenities including L'Occitane skincare and bath lotions. Furthermore, all guests have access to the Pantry, stocked with tea, coffee and homemade biscuits, for the ultimate in homely comforts. This offer is based on a Half Board stay (Breakfast and evening meal served in main restaurant - excludes drinks). Your stay includes a satisfying breakfast, with a range of continental buffet and cooked-to order-options on offer. 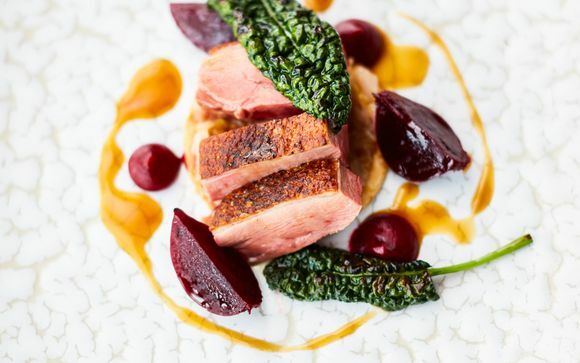 Guests will also enjoy 3-course à la carte dinners in Gidleigh Park's renowned restaurant. Here you will marvel at the charming wood-panelled interior while choosing from a menu based on the finest seasonal ingredients. And to accompany your meal, why not order a bottle of wine from the highly regarded wine cellar, containing more than 13,000 bottles from around the world? This property is not accessible to those with reduced mobility.